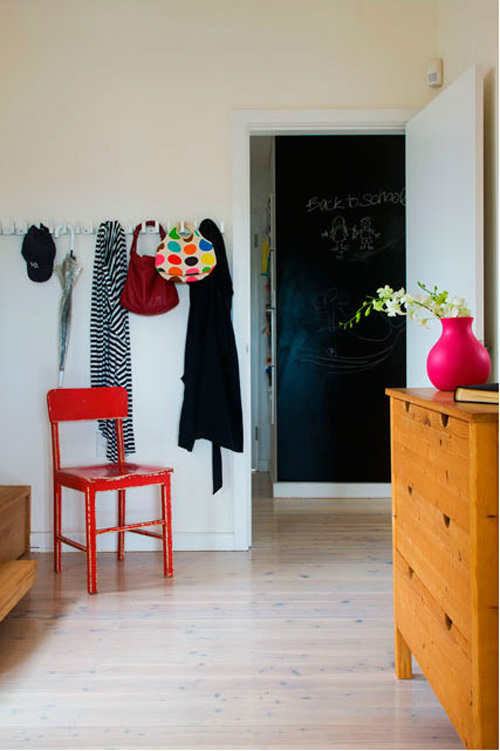 Today’s post shows that a few vibrant colored items can brighten up an entire space. A red chair, a green pendant .. not a lot is needed to bring live to room. Fabulous interiors! 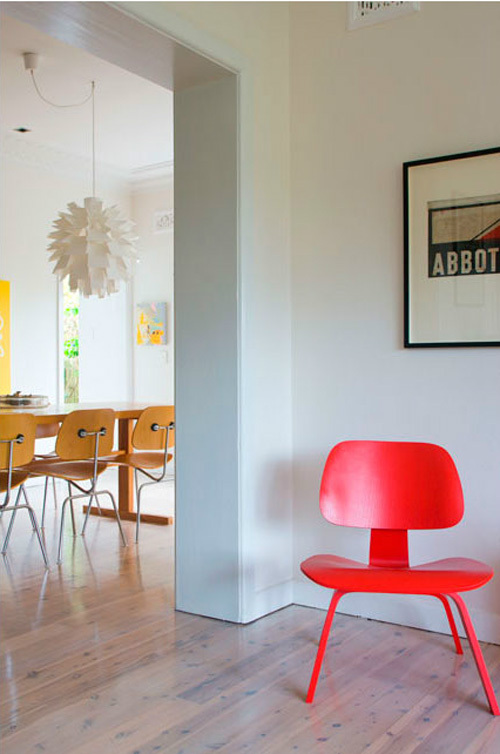 I’m partial to Eames designs so the first photo is my fave! normally, i’m not into colors.. but this, makes me HAPPY! The third is my favourite, just to be difficult. Lovely, subtle use of colour that really makes you pick out the detail. 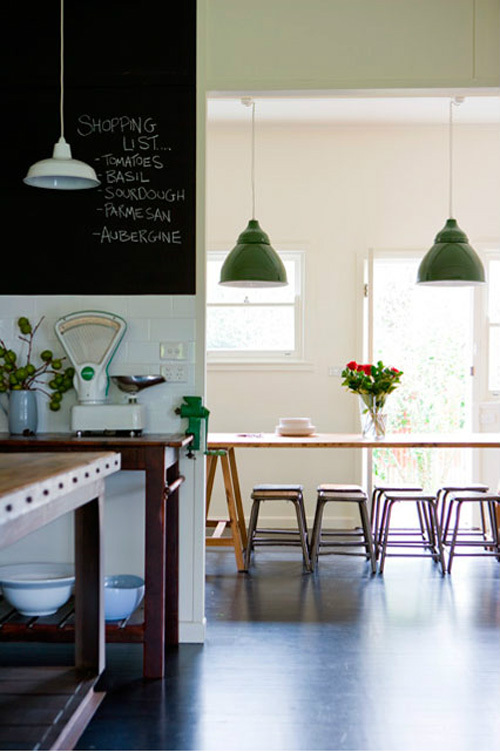 Love the interiors.